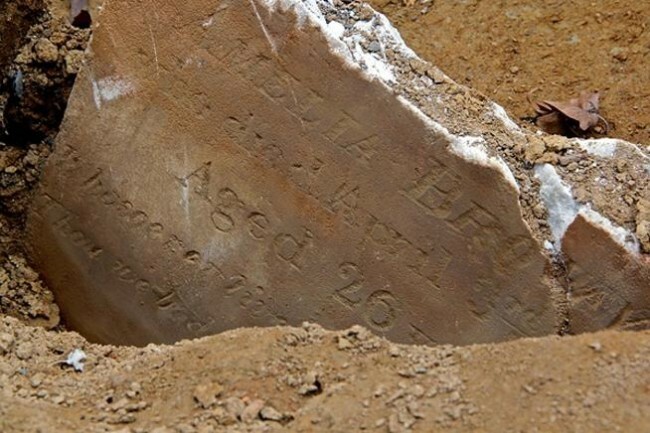 Sixty-year-old Diana Crosby died this date, August 7th, in 1849 and was buried at Bethel Burying Ground. Sixty-year-old Diana Crosby died this date, August 7, in 1849 of “Debility”* and was buried at Bethel Burying Ground. Alternative spellings of her names have included “Dianah” and “Crosbey.” She lived alone at 100 Gaskill Street in a 12’x12′ room for which she paid $1.75 a month, according to the 1847 Philadelphia African American Census. Ms. Crosby received public aid in the form of firewood for her stove. Ms. Crosby was born enslaved to parents that, most likely, were kidnapped from West Africa. They would have been placed on a slave ship headed to the Caribbean, where they would be forced to labor in the sugar cane fields before they were shipped to ports in the United States. Diana Crosby’s parents first had to survive the murderous Middle Passage before arriving in the Caribbean. Although Ms. Crosby’s death certificate states that she was a native Philadelphian, there is other evidence to place that statement in doubt. In 1836, she told a census taker for the 1837 Philadelphia African American Census that she was born in Maryland, not Pennsylvania. In the 1847 Census, she reported that her freedom was purchased, although she could not remember the price. Ms. Crosby was a widow (1836) and was self-employed as a “whitewasher” or house painter, according to the 1837 Census. There were eighty African Americans reported as whitewashers. Most of them were men, but there also were a good many women employed in the trade. Ms. Crosby worshipped at Bethel A.M.E. and, as of 1836, she belonged to three beneficial societies that, undoubtedly, eventually assisted with her burial costs. The red arrow indicates the approximate location of Ms. Crosby’s home. The night before Ms. Crosby died, the city was hit by a “tremendous storm” with thunder that “seemed to shake every building.” However, the next day dawned with the temperature at a pleasant 72 degrees, reaching only 74 degrees at noon with a slight northerly breeze. The term “Debility” usually meant dramatic weight loss from cancer or some other illness.